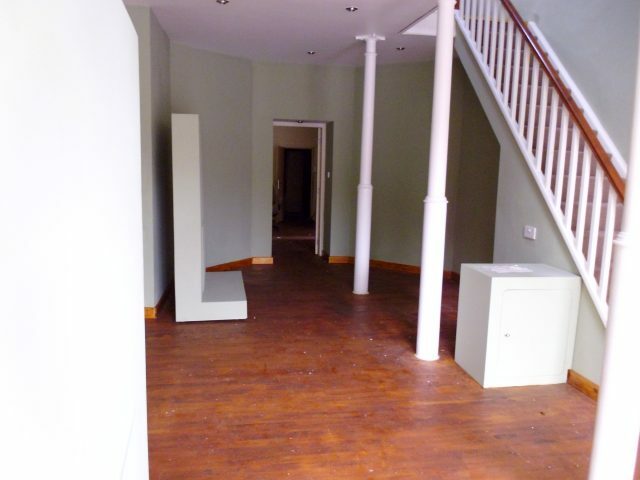 Large Open Plan Showroom with Mezzanine above. 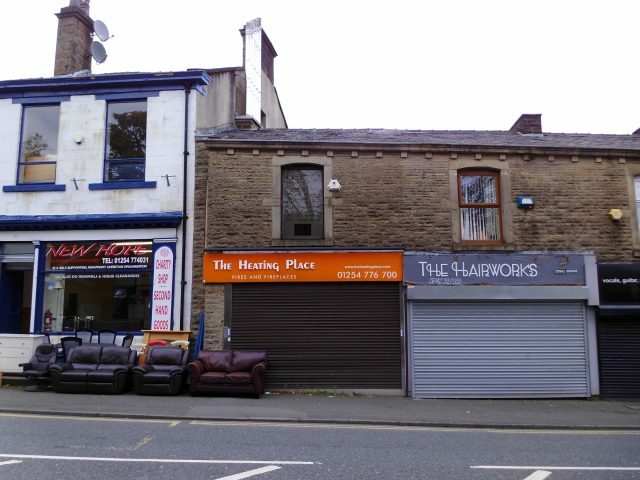 Open Plan Showroom; 4.36m x 8.77m, double fronted shop with meter cupboard, laminate floor. Mezzanine above. Store Room; 4.30m x 5.37m, including base units, single drainer stainless steel sink, door to back yard, toilet and handwash basin. Store Room; 5.37m x 4.30m. Externally – Yard to rear. Rateable Value; £3,150 in the current ratings list. Services; Mains services are connected.